Play original 12x12 created on wood. 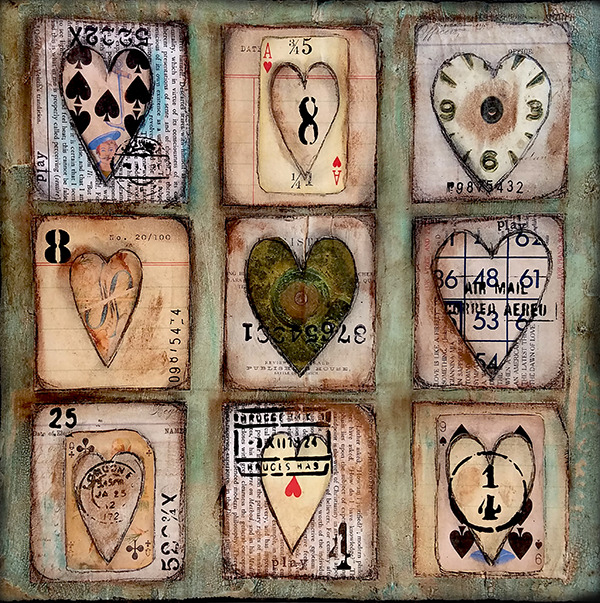 This is created on 12x12 wood substrate with lots of vintage papers. This fun piece is perfect for a game room or kids room. Signed and sealed with a soft gloss sealer. Sides and back painted black with key hole on back for hanging.